Q: Can I reserve tables for my large party? A: Reservations for up to 30 people in the taproom & beer garden may be arranged by filling out the form below. Reservations are considered on a first come, first served basis and are available every day of the week except Saturday. 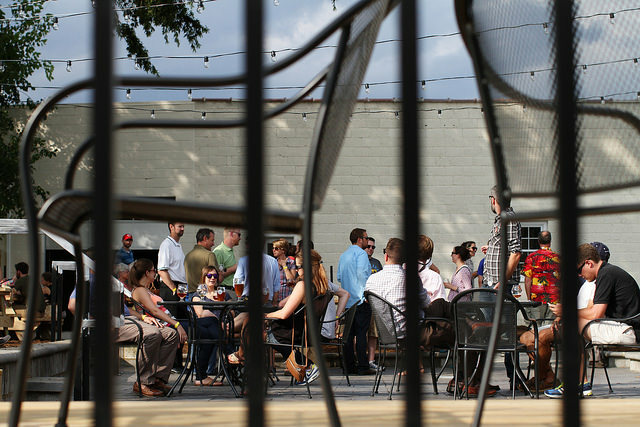 Guests may request to book tables on the patio or inside the taproom, and in the event of inclement weather, we will make every effort to accommodate your party indoors. We ask that the party arrive within 15 minutes of the agreed-upon reservation time or the tables will be released. Q: What type of tabs can I offer my guests? Open Bar – Host is responsible for entire bar tab. Limited Open Bar – Host is responsible for the bar tab up to a predetermined amount or for a specified period of time. Drink Tickets – Much like Open Bar, the host gives out tickets that are redeemable for a beer on the host's tab. Pay As You Go – Guests are responsible for their own tabs. Q: Can I bring in outside alcohol to my event? A: Due to ABC regulations, we cannot permit any outside alcohol at the brewery (cider, wine, spirits, etc.). Guests are welcome to bring non-alcoholic beverages to serve at their event. 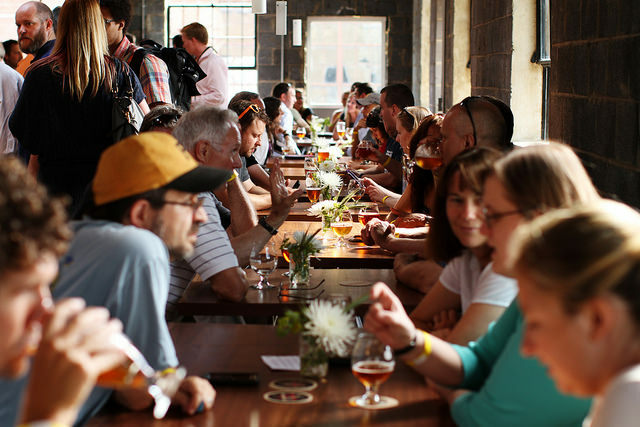 Q: Can I serve outside food for my taproom reservation? A: Absolutely. We do not have a commercial kitchen at Ardent, so we welcome guests to bring in outside food. We do require that our event coordinator approve the caterer or vendor in advance. Q: Can I bring decorations for my taproom reservation? A: Outside decor, within reason, is permitted, but must be approved by our event coordinator. Q: Can I have live music or book my band to play at Ardent? A: Unfortunately, we are unable to accommodate live music at the brewery. Q: How far in advance do I need to book my taproom reservation? A: Taproom reservations are booked on a first come, first served basis. The earlier you inquire and are able to begin planning, the better, as demand and availability can fluctuate, especially during the holiday season. Please allow up to two days for a response from our event coordinator. Please include any additional information for our event coordinator. Thank you from the Ardent team! We look forward to speaking with you about your event. Please allow up to two days for a response.